The Russian Aerospace Defence Forces have successfully launched the third Persona electro-optical reconnaissance satellite, also known as Kvarts (Quartz), on a Soyuz-2.1b carrier rocket, from site 43/4 at the Plesetsk Cosmodrome located in northern Russia. The launch took place, today, Tuesday, June 23 at 12:44 p.m. EDT (16:44 GMT). The launch was carried out under the general supervision of VKO Commander, Lieutenant-General Alexander Golovko. After reaching orbit, the satellite was provided with a new designation – Kosmos 2506 (Russian military’s nomenclature for satellites). Today’s launch had been initially scheduled to take place on Apr. 30 of this year. However, it was postponed due to the investigation into the Apr. 28 Progress-27M cargo craft launch anomaly. As noted on SpaceFlight 101, the Persona-3, built by Progress State Research and Production Space Centre (TsSKB-Progress), is derived from the Resurs DK commercial Earth-observing satellite. The satellite carries a laser data-transmission system, BA MLSPI, which enables it to send information to the ground via a special relay satellite located in a geostationary orbit. Persona features an optical system called 17V321 which was provided by the Russian LOMO company and the Vavilov State Optical Institute. It was developed from the system used on the Araks-N (Arkon) satellite. The satellite is capable of transmitting high-resolution images from orbit during a period that is planned to last at least seven years. Images provided by Persona-3 will be used by the Reconnaissance Directorate of the Chief of Staff of the Russian Armed Forces. The first Persona satellite, identified as Kosmos 2441, was launched into a Sun-synchronous orbit on July 26, 2008. It also was launched atop a Soyuz-2.1b rocket from the Plesetsk Cosmodrome. However, it failed to return useful imagery due to an electrical malfunction. It is hard to say exactly when the satellite failure occurred – the spacecraft has not been performing any orbit-correction maneuvers since mid-September 2008. Persona-2 (Kosmos 2486) was launched on June 7, 2013. That launch was delayed from 2012 due to problems with the spacecraft’s attitude-control sensors. According to NORAD data, the satellite was deployed on an orbit with an apogee of 437 miles (703 km), and a perigee of 116 miles (187 km), inclination of 98.3, and orbital period of 93.48 minutes. The satellite, planned to operate for a period of up to five to seven years, also failed after a short time in orbit, necessitating bringing back the older film-return Kobalt-M satellites into service to bridge the gap. Reportedly, about half of the memory capacity of the onboard computer has failed. In 2014, the satellite was reactivated and new software was uploaded to provide a workaround to the crippled memory. Persona-2 came back to life just in time for the escalating conflict between Russia and Ukraine, which led to the Malaysian Airlines’ Flight MH17 tragedy on July 17, 2014. The Russian Ministry of Defence released a series of satellite images to support the Russian version of events, blaming Ukraine for the tragedy. If the Persona-3 mission is successful, the second Persona satellite will be either replaced by a second generation Persona series or a newly developed series of imaging satellites. Russia operates a network of about 60-70 military reconnaissance satellites, featuring updated imaging technology and an extended lifetime of up to seven years, according to open sources. Today’s launch is the first this year for Soyuz-2.1b rocket and second this month for a military spacecraft. 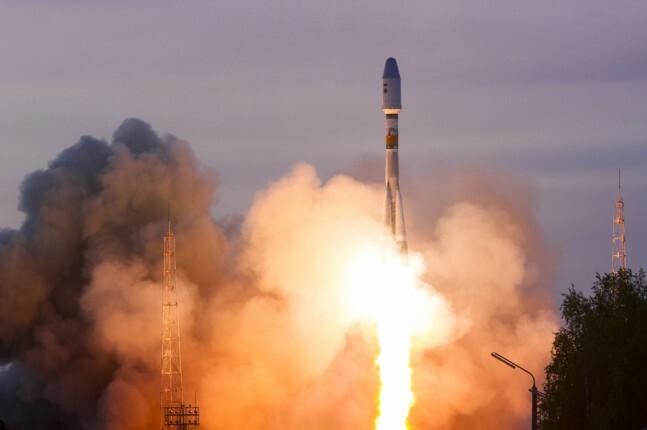 On June 5, Soyuz-2.1a rocket carrier was launched with a military satellite Kobalt-M aboard, which became the first launch for this rocket since the crash of the Progress M-27M cargo craft on Apr. 28. 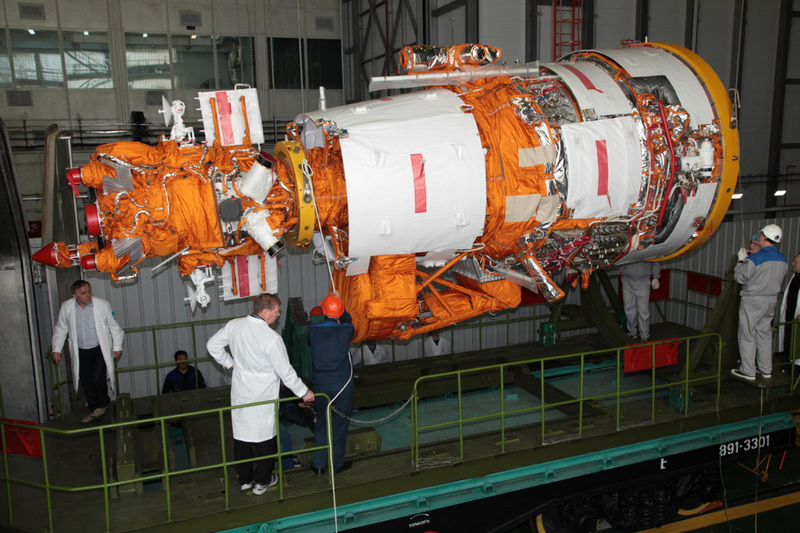 Tuesday’s lift-off is also the 4th launch from the Plesetsk Cosmodrome this year. All four launches were successful.